If you’re anywhere over 50, it can be hard to work out exactly how you’d like to spend all of the free time that you suddenly have. But even if you know what you would like to do in your spare time it may be a lot harder to find sources of inspiration for your plans as everywhere can appear to be similar if you’re not quite sure what you’re looking for, making it particularly difficult if the trip isn’t even for you – anyone who is familiar with the task of booking holidays for elderly parents will know this struggle! However it’s never too late to travel so now is a better time than ever to step out of your comfort zone and visit the countries we think make the best 5 holidays for older people right now – especially if you’ve never had the chance to go to them before! Senior travel can be daunting, in particular for those that haven’t flown or taken a ferry for a while, so let’s start closer to home – why go abroad when some of the most awe-inspiring nature can be found right on our doorstep? With no fewer than 15 national parks in the UK, you’re spoilt for choice when it comes to deciding where to pay a visit to. 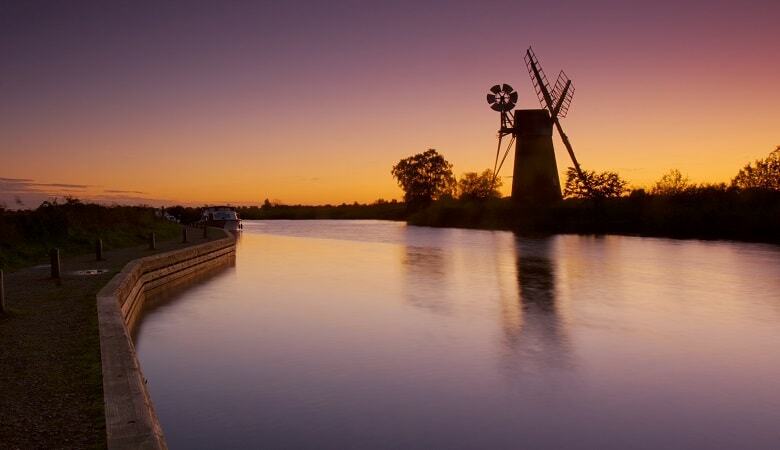 Coach trips for the elderly are becoming increasingly more popular, and what better way to make use of them than to visit the Norfolk Broads. Tucked away in a tranquil corner of England, this national park is sure to offer a relaxing break surrounded by nature reserves, wildlife and plenty of serene lakes for sailing and fishing, ideal for those over 50’s looking for vacations with limited walking. If you’re a foodie and enjoy eating locally sourced produce you can find plenty of quaint, yet traditional restaurants serving freshly caught Cromer Crabs from the Norfolk coast and using the best ingredients from the region in their dishes. Holidays for the elderly abroad shouldn’t be feared however as there are plenty of resorts that cater for those who just want to sit back and soak up the sun, and there are more than enough options out there so you can find that perfect choice that will suit you. And remember, the weather in Spain is at least mild almost the whole year round, so you don’t just have to visit during the summer – there’s plenty to do during winter in Spain for pensioners too! Ibiza for over 50’s probably doesn’t come to mind immediately with the westernmost Balearic island mostly known for its summer festivals, but you can always find somewhere quiet away from the hustle and bustle of the island, with the Ibiza Cathedral and the Dalt Vila UNESCO site, a renaissance fortress built in the 16th century, remaining extremely popular with senior tour groups on the island. 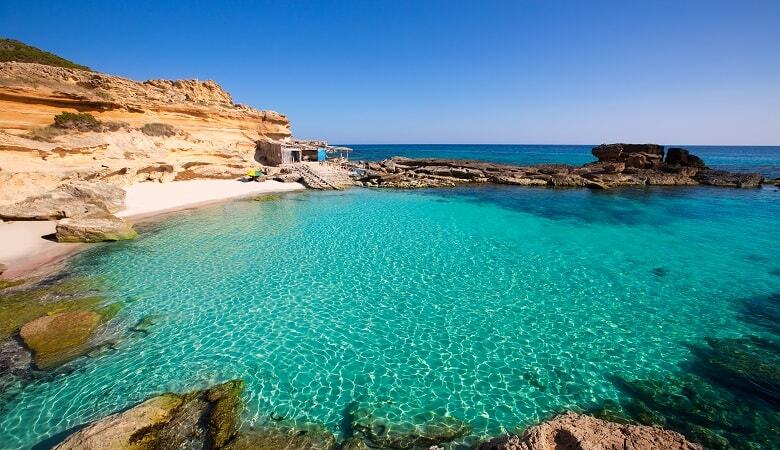 It’s also just a 30-minute ferry journey from the island of Formentera, where you can find crystal clear, unspoiled beaches which are almost comparable to what you would find in the Caribbean! If you take a snorkel and head underwater at Calo Des Mort, you’ll be able to see all kinds of exotic and tropical fish. The advent of FlixBus has simplified coach trips for the elderly in mainland Europe too, offering long-distance coach travel at affordable prices with extremely good connections too, making holidays for older people easier than ever before! Offering numerous stops along the Adriatic Sea and onwards to other Balkan states, Croatia is the perfect country for utilising the freedom that coach travel gives you! 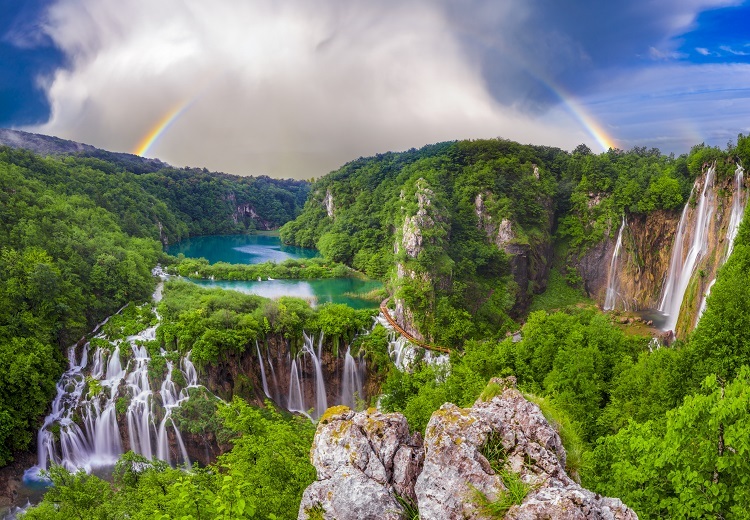 Known for its breath-taking natural beauty of intense green forest and sharp blue lakes, Plitvice Lakes National Park is slap bang centrally located in the middle of Croatia and consists of 16 different lakes connected through spectacular waterfalls and rivers. Whilst everyone is welcome to explore the park at their own speed, there are walking guides offered, making it easy to join in with senior tour groups and learn all about the history of Plitvice and how the lakes came to be in their remarkable formation. Once you’ve marvelled at the scenery of Plitvice you’ve got plenty of options – head north to the historical capital of Zagreb, or head south to the maritime destinations of Split and Dubrovnik. Now do you believe us when we say Croatia is the best country for coach trips for the elderly? We’ve discussed European coach trips for the elderly, but what about backpacking holidays for over 50’s? Well, as you may have guessed, backpacking for oldies is entirely doable, it just requires a bit of planning – students manage to do it all the time, so why can’t you? If you’re feeling frugal, backpacking for oldies can make for some of the most exciting holidays for the elderly abroad, and there’s no better place to get started than in Sweden. A vast country covered in lakes, trees and mountains, the home of IKEA has it all, making it worth your while to travel between different locations across the Scandinavian country. Stockholm obviously makes the perfect home base – a lively city on the east coast with plenty of museums and walking paths to discover, it couldn’t be easier to find a suitable hostel or hotel for elderly people here. From Stockholm, it’s just a case of grabbing your backpack and taking any of the numerous Swedish night trains to the destination of your choice. Our recommendation? 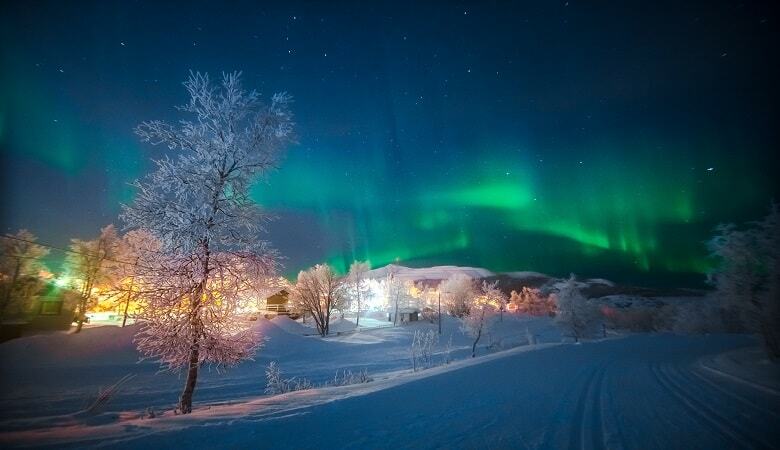 Head towards the northernmost town in Sweden, Kiruna; famous for its Icehotel under the Northern Lights. On the way up you’ll pass through the historical city of Gävle, renowned for its straw goat, erected (and also more often than not, burned down) over the Christmas period. Of course, several of these options require you to do some planning yourself, so what if you don’t have time to do that? The best course of action here is to book a European senior tour! Not only can they end up being one of the most interesting and exciting holidays for older people, but they also they give you the chance to explore a whole region of a country – and sometimes even several countries – whilst having all of your travelling, transfers and activities booked and arranged for you beforehand, leaving you completely stress-free! There are a plethora of possibilities when it comes to tour packages, and it’s all just a matter of researching where you would like to go and seeing what’s available – but luckily for you, we’ve done some of the hard work and picked out our top choice: the Netherlands! A small county stuffed full with uniquely different cities and regions, why wouldn’t you book a European senior tour around the Netherlands? Almost every senior tour will start in the walkable city of Amsterdam, known the world over for its canals, museums and shopping centres. 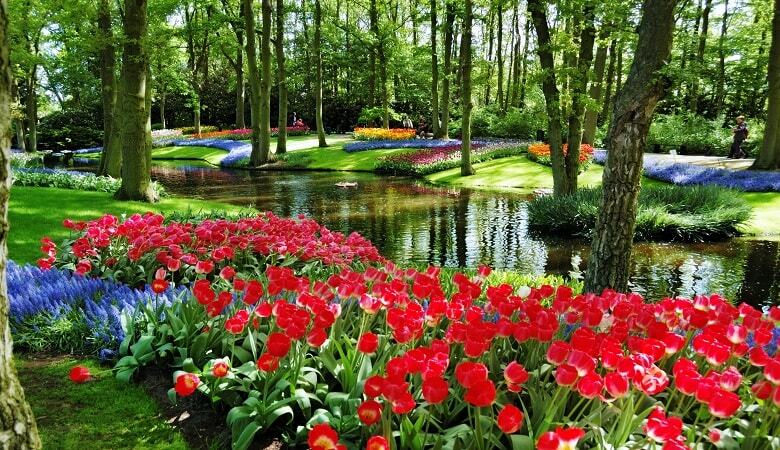 From here, most senior tour groups will take you through the picturesque town of Zaanse Schans and its multicoloured windmills, the hilly wine village of Groesbeek, and of course the famous flower park of Keukenhof, one of the largest of its kind in the world. If you’re debating whether or not all of this is possible for you, then take a look at our Top 6 over 50 travel blogs to have a read of the first hand experiences from the older people who have been there, done that, and bought the t-shirt, as they offer some of their best senior travel tips and experiences! No matter whether you’re looking for a specific resort or you end up backpacking across the continent you will need somewhere to stay and at HolidayparkSpecials we have a large selection across Europe for you to choose from – take a look now! Foodie, traveller, languages nerd... 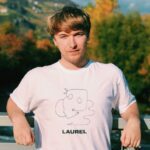 Sometimes I make music too!